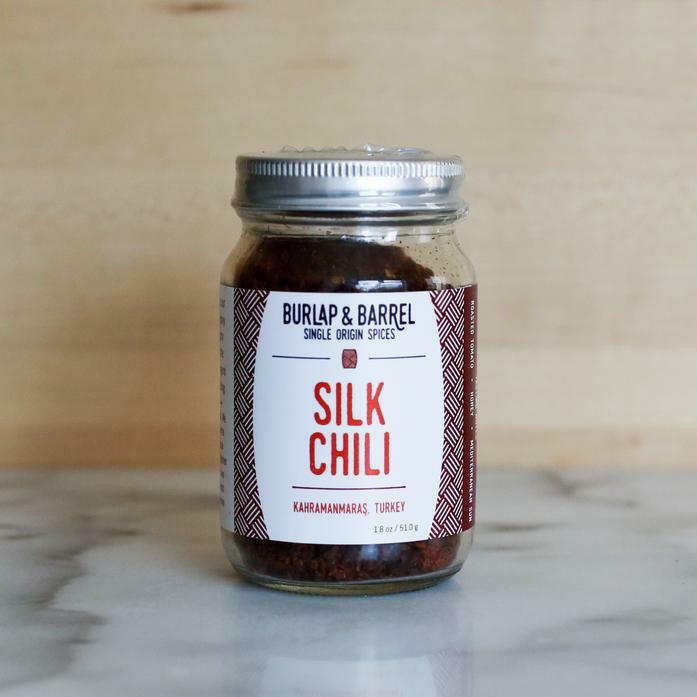 These summery, sweet and spicy silk chili come from Kahramanmaras, Turkey. Also known as marash pepper, the silk chili is botanically identical to the Aleppo pepper, which has been cultivated in Syria for millennia. Due to the ongoing violence of the Syrian civil war, true Aleppo chili is unfortunately no longer available for import. Our silk chili is naturally preserved with a little bit of salt and sunflower seed oil to keep them fresh and flavorful. They have a warm, tomato-like flavor and a medium heat. Use in any dish in need of a little excitement, from scrambled eggs to burgers to brownies. Perfect for cooking or finishing.